A 130,000-year-old archaeological site in San Diego shakes up our understanding of early humans in the new world. Click image to view models. This specimen of Mammut americanum was discovered in 1998 by members of the Buesching family, near Fort Wayne, Indiana, and was excavated by staff of Indiana University-Purdue University at Fort Wayne, with assistance from the University of Michigan. 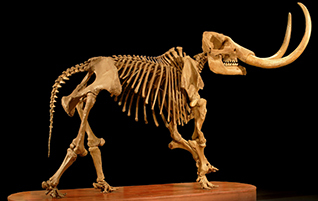 A mounted skeleton, based on casts of individual bones produced in fiberglass at UMMP, is accessible for viewing in the University of Michigan Museum of Natural History. Sample images from 3D model. 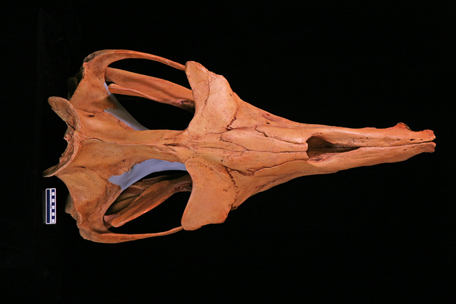 Tapuiasaurus macedoi skull, click image to view 3D image. The University of Michigan Online Repository of Fossils (UMORF) is a project of the University of Michigan Museum of Paleontology to increase the accessibility of fossil specimens through online 3D and 2D representations. The Museum of Paleontology's invertebrate collections contain over 2,000,000 specimens. 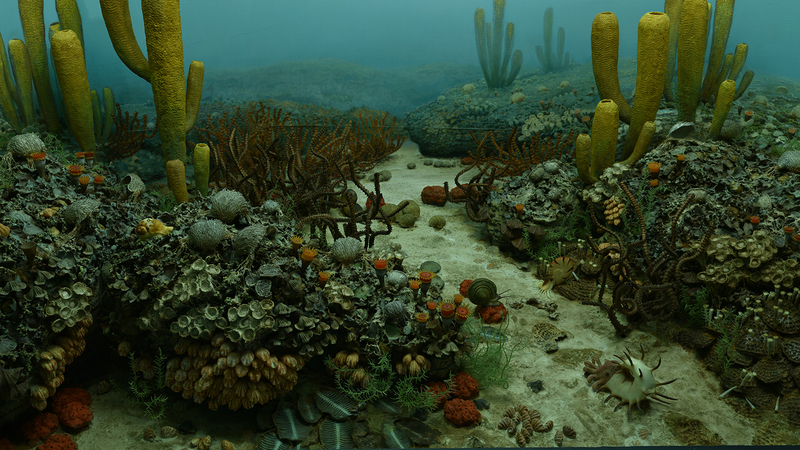 There is particular strength in Paleozoic faunas, especially corals, trilobites, ostracods, and echinoderms of the Michigan Basin and surrounding areas. “Vertebrates” is a term that refers to animals with backbones. The Museum of Paleontology's vertebrate paleontology collection includes approximately 80,000 cataloged specimens. The Museum of Paleontology has an extensive archive of specimen illustrations, animations and photos. 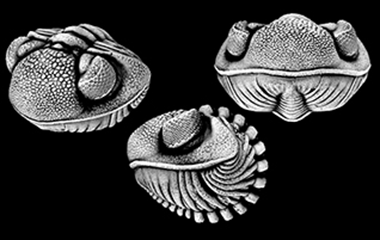 Analyses of fossil material require detailed information on the 3-dimensional shapes of specimens. Traditional means of conveying this information through photographs and drawings work well to a point, but can now be supplemented by 3D graphics formats that allow onscreen manipulation of 3D digital models. This website, still in early stages of development, is intended as a resource and showcase for 3D (and supporting 2D) content featuring specimens in UMMP collections or being studied by UMMP personnel. We hope to serve a range of different user communities. One of our goals is to provide internet access to our Type and Figured Collection – specimens that have been the basis for descriptions of new species and new interpretations of known species of extinct organisms. These are some of the most frequently consulted specimens in our collections, and providing access to students and researchers around the world will greatly enhance the usefulness of this material. We also wish to represent notable comparative collections, especially when we are aware of a user community that could benefit from access to this material. Some site assemblages include hundreds of items (e.g., separate bones or bone fragments), often from a single individual organism. We envision these models being used for a range of purposes, from identifying anatomical elements from new sites … to investigating site formation processes. Our mission is to support, enhance, and collaborate in the research and instructional activities of the faculty, students, and staff, and contribute to the common good by collecting, organizing, preserving, and sharing the Paleontological record. This mission is accomplished through the establishment of the various collections and programs available through the Museum of Paleontology.